Judi Kemish was a solicitor for 20 years before transferring to the Bar in 2015. She regularly advocates in the Court of Appeal, High Court, Crown Court, County Court, H.M. Coroner’s Courts and at FT IAC Tribunals. She has been complimented for her detailed preparation, advocacy skills and legal expertise by many clients over her 24 years, as a lawyer and as an advocate. She is particularly known for her ability to tackle 'difficult' cases and has an unique insight into civil, criminal, public, regulatory, immigration and Coronial law. Her experience covers advocating in the civil and criminal courts at all levels, including proceedings before the High Court, the Court of Appeal, the Supreme Court, HM Coroner's Courts, FTT IAC Tribunals and at public Inquiries and Inquests. Judi is an accredited Mediator. She has gained significant conflict resolution and negotiation skills through her apppointments as the Solicitor to 2 major public inquiries, (Robert Hamill - a Nothern Irish public Inquiry and Azelle Rodney Inquiry) and as Solicitor to the Mark Duggan Inquest (Tottenham Riots Inquest). Judi is one of the most experienced practitioners at the Bar in this field. She represents the full range of Core Participants at Coroner’s inquests including bereaved families, Non-Governmental organisations, Health professionals and the Police. In addition, she has advised Coroners in relation to publicly sensitive investigations. Judi has advised and acted in a number of high - profile judicial review proceedings relating to inquests and inquiries, such as Re Officer L and R on the application of Pamela Duggan v HM Assistant Coroner. Judi is a highly experienced public lawyer. She has represented individual clients in High Court judicial review proceedings, including a successful application for a writ of habeas corpus. 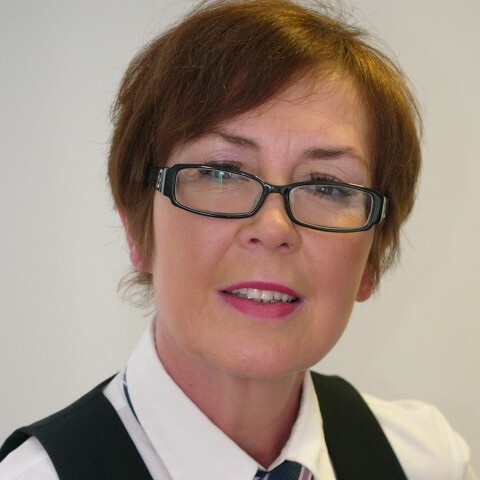 Judi's property practice includes possession and injunctive proceedings, private nuisance / anti-social behaviour prosecutions, trespass, disrepair, tenancy disputes and enforcement of judgments. She is instructed by Housing Associtations, private landlords and individual tenants at Courts at all levels. She has expertise in international property work, including enforcement of foreign money judgments in the High Court. Judi represents clients on a private basis in criminal litigation, ranging from white collar fraud, breaches of EEA regulations/ EC directives, money laundering, confiscation proceedings, dangerous dogs and noise nuisance prosecutions. She is a member of the European Crimininal Bar Association (ECBA). Judi represents the Government at First Tier Immigration Appeals. She is an experienced Extradition Law practitioner, representing Requested Persons at first instance and at High Court appeals against Extradition Orders. She has a Post Graduate Diploma in EC Law (King's University, London), and represents EU lawyers in criminal and regulatory matters brought in the UK. Judi has extensive experience as an advocate at proceedings and appeals before the Court of Appeal, High Court, Crown Court, County Court, H.M. Coroner’s Courts and the FT (IAC) immigration appeals. Judi Kemish was very easy to work with and delivered a fantastic result for my client. I will be sure to circulate her request with my team and will definitely look to book her for future hearings myself. Outside of these key areas of law, Judi Kemish is always willing to consider any enquiry requiring the experience or knowledge needed to help you or your client. Please call Judi direct or the support team on 01823 247 247 if you would like to discuss any aspect of this profile.